Today, we have various advanced web hosting solutions, catering to different requirements and end-goals. Talking about beginners, we know that one type of hosting is most ideal and that is Shared Hosting! The name speaks for itself. 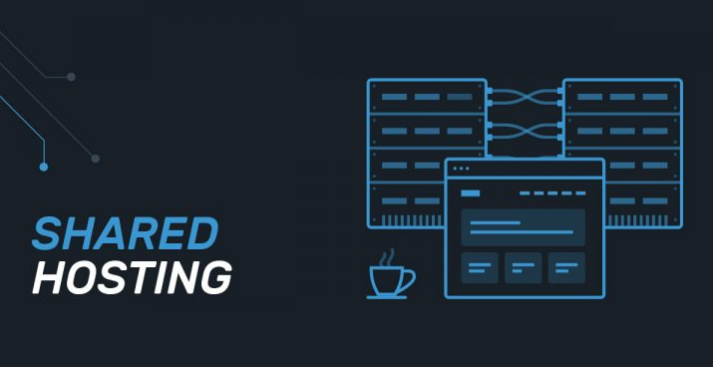 Let us dive deep into a detailed know-how about Shared hosting. Shared hosting is that form of web hosting where multiple websites are hosted on a single server. It is by far one of the most popular web hosting services. Shared hosting functions in an environment where several sites use resources like disk space, Ip addresses, and bandwidth depending on the kind of plans they opted for. If you are a beginner, this is the best option as it does not call for much technical know-how. Shared Hosting is an affordable hosting option to start with. The highlighting feature of shared hosting is its cost when compared to various hosting types. This is beneficial to both the web host and the website owner. - Shared hosting provides efficient server maintenance, system configurations as well as regular backup services. - Here, a single server is technically capable of hosting several websites simultaneously. Shared web hosting is a go-to product for almost everybody looking for an opportunity to get their business online. The majority of them choose Shared hosting for its affordable cost and easy-to-use services. - Easy to use: All functions that come with a Shared Hosting package are easy to use. You can expect your web hosting provider to manage and maintain the operating system and security of your website. - Quality: Most Shared hosting providers typically assist customers all technical difficulties at all times through phone or chat. Limited bandwidth: In the Shared hosting world, you get what you pay for. If you decide to get a Shared hosting solution, you can only expect limited storage space and bandwidth. Limited Management options: Here, the security of your website is in the hands of your hosting provider. One does not have the liberty to install custom security software. When it comes to choosing the right kind of hosting it is always advisable to make a well thought-out decision. For this, you must find out the critical information to that can help you decide. Web hosts can be differentiated on the terms of their quality. - Always look for reliability and good services. Also, not to get influenced by dramatic advertisements. - Finalize on a package that best suits your business requirements. - Advisable to carry out a detailed research on the particular hosting company to know if they meet your business needs. While you opt for a Shared Hosting package, it’s necessary to consider all above elements. However, it’s not the best option to settle for the cheapest option available. Paying less for web hosting might lead to compromising on various aspects. Shared hosting is however the most recommended hosting option to start your website/business. I hope this article answered all questions regarding a Shared Hosting package. So, this was the complete guide on shared hosting. I hope you enjoyed reading this guide. You can also subscribe for SolveMyHow newsletter to get latest updates about hosting right into your inbox!